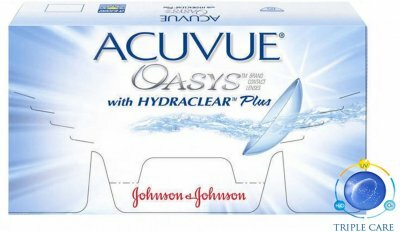 Contains HYDRACLEAR PLUS the next generation of proprietary technology that creates a more wettable, ultra smooth contact lens. Helps soothe the discomfort from eyes feeling tired and dry. Visibility tint so your lenses are easy to see and handle. UVA and UVB block to help protect against harmful UV rays, blocking 96% of UV-A rays and 99% of UV-B rays. Inside-Out Mark so you can insert your lenses correctly every time. People who experience contact lens dryness in dry challenging environments. People who spend extended periods of time in front of a computer. People whose eyes get tired from long days at work.